A great deal of hope from the local community was pinned on a new purpose-built £21 million facility in Nottingham. 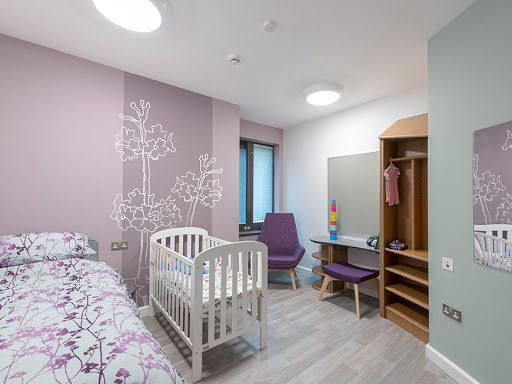 The Hopewood Centre is a facility for Child and Adolescent Mental Health Services (or CAMHS) and Perinatal Services, providing crucial wide-ranging support for adolescents, pregnant women, and new mothers who are experiencing mental health issues. 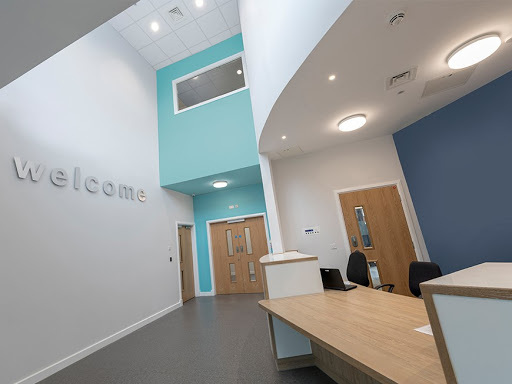 The brief from the Nottinghamshire Healthcare NHS Foundation Trust was to construct a safe, calming, and positive environment in a naturally beautiful location which would deliver CAMHS care and Perinatal Services to the local region and serve as a vital Community Hub space. Architects Practice Gilling Dod have a long heritage stretching back to the evolution of Victorian Liverpool in 1882. 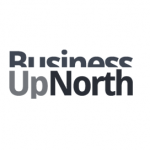 Now based in Lancashire, the team hooked up with Kier Construction to collaborate with the Trust on an epic and ambitious 18-month build programme. The first step of the project involved creative workshops with employees and service users to brainstorm the key themes, names, and overall narrative of the new facility. The name ‘Hopewood’ itself was born from these discussions as an uplifting description of both the natural surrounding landscapes and the positive aspirations and feelings that the centre would evoke in both the staff who provide the services, and the clients receiving the services. The stunning scenery certainly helps to create a healthily reassuring and peaceful atmosphere. Designed in the style of a campus, the Hopewood Centre includes parklands, woodland trails, and enchanting horticulture, with the new buildings positioned in naturally ideal locations to absorb the breathtaking beauty of the landscape views from the comfort of the interiors. Of course, an imperative component of the brief was to maximize every efficiency of the professional care services. Housing a 40-bed specialist inpatient unit, along with the East Midlands’ very first dedicated specialist eating disorders inpatient service and very first psychiatric intensive care unit for young people, every element of the architecture was founded on core principles of supreme safety and absolute accessibility. Yet it’s the warm and welcoming interior design that really breathes life into this momentous project. A soothing palette of comfortingly cool and calm tones are used throughout the space to forge a genuinely uplifting and healing ambience, coordinated perfectly with the furniture colours, signage and artwork to create an exceptional holistic interior crafted from careful thought to promote thoughtful care. 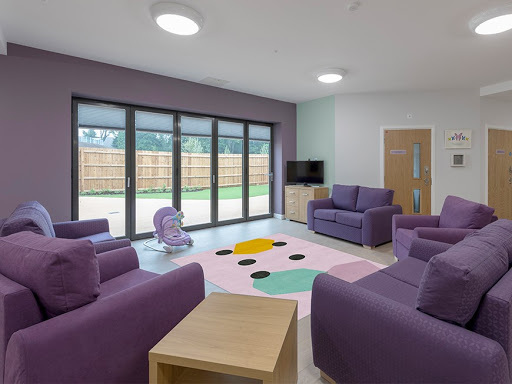 Ultimately, Gilling Dod and Kier Construction have worked in harmony to construct a modern and warm-hearted place for support, recovery, and of course, true hope. Paul Smeeton, the Executive Director for local partnerships at Nottinghamshire Healthcare, was delighted to receive the keys for Hopewood. “Kier have carried out the construction of this fantastic new mental health facility for children, young people and families,” said Paul.